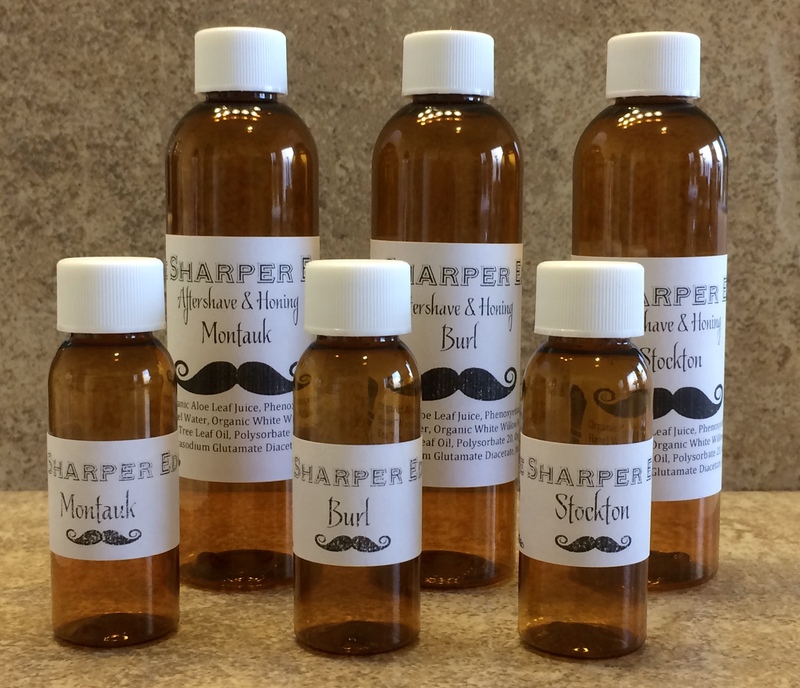 We are testing out some new aftershaves that we will be making and looking for six of you to be tester's but there is a catch, upon agreeing to test you get to select one ½ oz. sample and this will be completely free of charge even free shipping (CONUS ONLY) the only thing we ask in return is you provide feedback in regard to packaging, scent etc. right here is this post. So with that said below is a description of each scent and there will be two of each scent’s available, currently, we only have three scents in the works to keep things simple. We will go in order; so first come first serve and only one sample per person and once the two of each is gone you will have to make another selection from what is left if there are any. I will PM the reciepents for there mailing address. Montauk - A masculine masterpiece. Leading with top notes of leather and tobacco and a sweet and sultry fusion of creamy vanilla, rich amber with undertones of patchouli and sandalwood. Stockton - A woody, musky heart of sandalwood, vanilla aroma, and a delicate touch of cream with subtle notes of violet and jasmine. Burl – A universal appeal with its rich woody characteristic, and top notes of herbal, orange and a hint of sandalwood it has a tonka base and a touch of patchouli. I'm happy to help and provide honest feedback. I'll volunteer if you still need one. Gents if you post you want a sample please select the scent you wish to receive, there are only 2 scents of each available. My apologies - I'll test the Burl if available. I'd love to test Burl. Thanks for the opportunity. I'd love to test Montauk. I'll be happy to provide feedback. Trying to get the last two available samples out to a couple of you just looking for feedback, the two that are left are Stockton.. I'll take a sample of the Stockton, too, if you still need volunteers. All samples are spoken for, I will PM all reciepents for shipping info. Thank you for sending shipping info, I will ship out all samples on Monday and look forward to what you think about the aftershaves, if you are curious on ingredients here is the base plus the scent you chose. Organic Aloe Leaf Juice, Phenoxyethanol, Witch Hazel Water, Organic White Willow Bark Extract, Tea Tree Leaf Oil, Polysorbate 20, Organic Alcohol, Tetrasodium Glutamate Diacetate, fragrance oil. We wanted to keep it as simple as possible and hope you guys like it. Thanks for this opportunity William. Looking forward to trying the Montauk. Thanks for the opportunity and the ingredients list. Looking forward to giving it a try. Should be fun! Thanks for the opportunity!